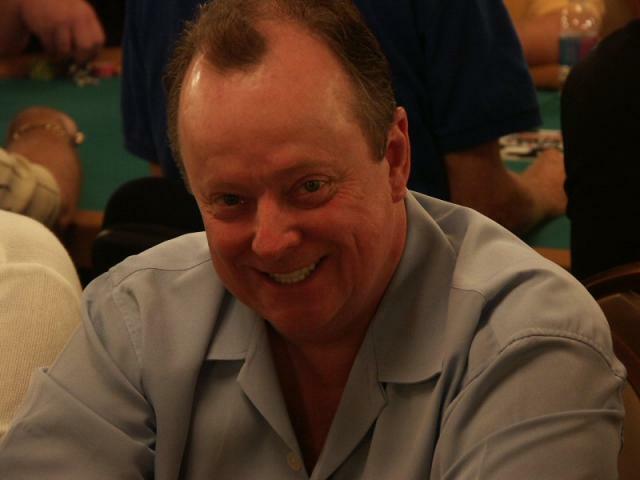 This week we welcome Robert Turner, a reputable addition to our team of co-bloggers, and a guy who knows a thing or two about poker (he only kind of brought Omaha Poker to Las Vegas… like, daa?). Please find his contact details at the bottom of this article. Looking back over the 40 years I have been in poker both as a player and executive host/marketing director, I have seen dramatic changes in the business. But no matter how much it changes, some things remain constant. The common denominator over those 40 years is the customer. Everything we do is to attract and retain our customers, and every decision we make about our customers affects our bottom lines. Today we have analytics to help us with those decisions, whereas in the past we relied on our best judgment in assessing what numbers we could collect. Even with significantly more information to consider, it is always imperative to look beyond the numbers to make decisions because sometimes the raw data does not tell the whole story. Your numbers may fluctuate 10 percent, which may raise some concern and prompt some analysis. But when they fall dramatically, you’ve got to figure out both what is going on and what actions to take to fix the problem in real time. For example, when a poker tournament that averages 1,000 players for weeks only brings in 600, you don’t have a week to analyze the situation. You are in crisis mode. You have to act today. To be prepared for situations like this, you need constant awareness of the factors that impact your tournament numbers. If your tournament numbers decrease drastically, most likely the causes are external. Usually your competition has out-marketed you and built a better mouse trap. For instance, if you had a $30,000 guarantee tournament, perhaps your competition started an hour before yours and offered a $50,000 guarantee. It takes a lot of research and understanding of your business to determine why your numbers are off. But a great marketing director anticipates this and already has plans in place to counterattack through adjustments in his marketing. Back in 2002 when I was the executive host of the Bicycle Casino, the first of the new, online PokerStars Sunday tournament drew only 200 players. The following Monday I had a marketing meeting and told the casino management team to watch the PokerStars Sunday numbers. The next week the number of players was 400. I had a longer meeting to talk about it. The week after that, PokerStars drew nearly 800 players. This looked like this could impact our business, so I reached out to PokerStars’ marketing director at the time, Dan Goldman, to set up a meeting to discuss the rapid growth of Internet gaming. At the time, what appeared to be a negative for brick-and-mortar casinos like mine turned out to be positive. The player base grew overall as more people became interested in poker. But I knew eventually this would change and have a negative impact on the brick-and-mortar casino business. Now that online poker is a part of the gaming industry for good, it is imperative for brick-and-mortar casinos to partner with online gaming companies if they are to survive. In so doing, they can form a strong hybrid business with more options, which is a win-win situation for the gambling business and its customers. Robert Turner is a legendary poker player and billiard marketing expert, best known for inventing and creating the game of Omaha poker and introducing it to Nevada in 1982 and to California in 1986. He also created the Legends of Poker for the Bicycle Casino and the National Championship of Poker for Hollywood Park Casino both in 1995. In the year 2000, he created World Team Poker, the first professional league for poker. He created Live at the Bike, the first live gaming site broadcast on the internet in 2002. He is currently working with his new companies Crown Digital Games developing unique mobile apps and Vision Poker, a poker marketing and managing group. He has over 30 years experience in the gaming industry. Follow Robert on Twitter @thechipburner. Robert can also be reached at robertchipburnerturner@gmail.com. PS2: Meet us during your next conference! This entry was posted in Home and tagged conversion, crm, egaming, gaming, hybrid, hybrid interaction, igaming, interaction, loyalty, loyalty club, online, online gambling, online poker, online poker conversion, online poker promotions, online poker retention, online poker VIP, player conversion, player development, player retention, poker, poker promotions, retention, social poker, social poker games, social poker gaming, strategy, VIP. Bookmark the permalink.